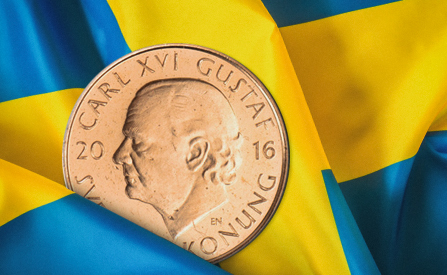 No deposit bonuses for Sweden, yes, they do exist and there are plenty of offers waiting to be claimed – but what are they, how do you claim them and more importantly, can you cash out from them? By the time you reach the end of this page, you will understand the mechanics behind the various no deposit casino offers and then, you can choose one (or more) of the no deposit bonuses listed, from online casinos available to Swedish players. More often than not, the most popular no deposit bonus available is the free credit bonus, which effectively dishes out some free cash for you to try your luck with, on any of the games listed on your chosen casino. Now, this offer sees the bonus credited to your 'bonus' bankroll, not your real cash account. This means any winnings accrued from the bonus, will again be placed into your bonus bankroll, until wagering requirements are met; but more about these later on. How much do you get with this type of welcome offer? Who knows? The amount you receive will differ from casino to casino, but usually, it's around the €10 mark. In our opinion, online slots wouldn't be the same without the fabulous free spins features, and with this type of welcome offer, you can trigger free spins without spending a penny or spinning those reels for what seems an eternity. Free spins welcome bonuses are typically credited instantly, although, some casinos can award your free spins over consecutive days from the point of registration. Regardless of how you receive them, you will still get to enjoy some slots action for free. ...the slot titles that the free games will be credited to, will be shown on the registration page and this again will vary from casino to casino, but usually, free spins will be available to play on a set number of slots from a certain a software provider. Another one that players could find available to them is the cashback bonus but this bonus does require you to make a deposit in order to qualify – but how does it actually work? You make a deposit into your account and receive cashback based on the value of your losses. ...this doesn't mean you'll receive 100% back of your losses, but a fair percentage; typically, 20%. The casino will have a set period to calculate losses and at the end of that period, the cashback will be refunded to your bonus account. Register and make sure you tick the welcome offer box or insert the promo code (if required) on the registration form before submitting. Start playing with your free no deposit bonus. Regardless of how you access online casinos; whether that be on desktop or mobile device, the welcome offers will be available to you. What About the Wagering Mentioned Before? Wagering requirements are terms and conditions attached to any – yes, any offer you may receive. Also known as play through requirements and turn over requirements, but each term means the same thing – the amount you need to play through, before being able to cash out. Despite the three different no deposit offers mentioned on this page, each will come with their very own set of terms – which again, will differ with each casino. play twenty-five times €20 before cashing out (€500). The free spins wagering is slightly different; a cap on winnings may be imposed and then you have the wagering, which is almost always higher than the standard free play credit bonus.